It is time to serve the country. Calling all male Singaporean and permanent residents (particularly to those who were born from Sept 11 to Dec 10, 1996) out there! 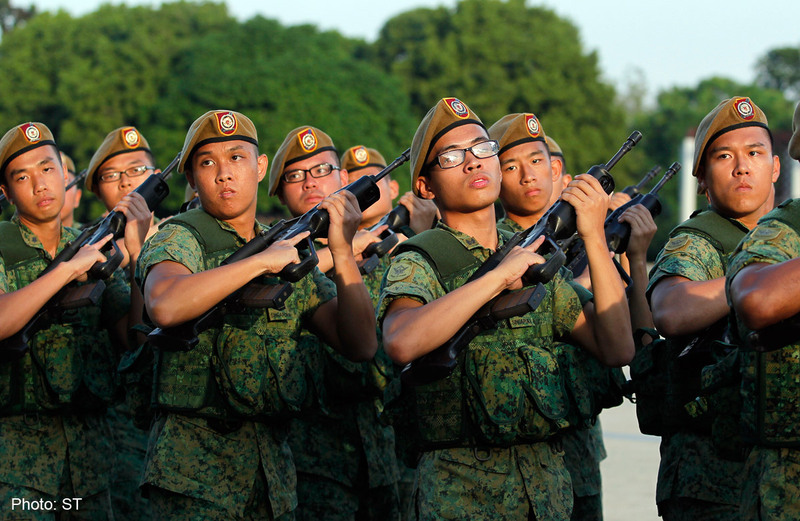 NS (National Service) registration will commence on January 2 to 21, 2014. 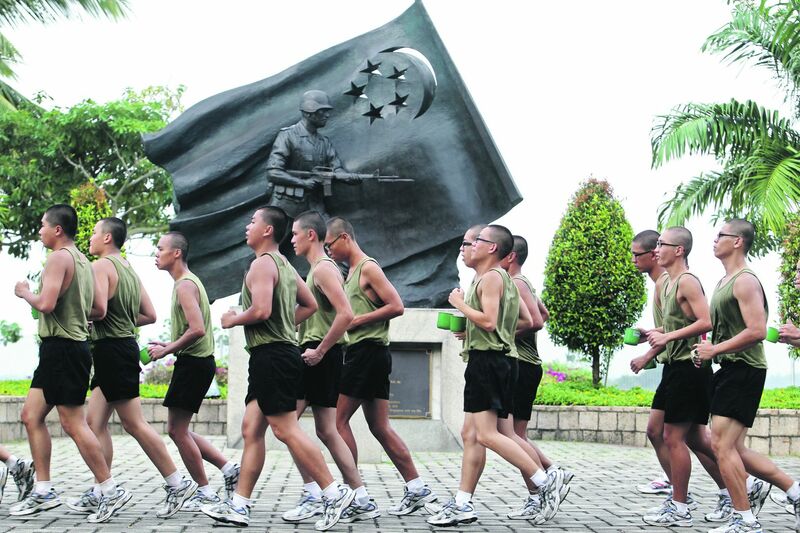 You can register online or you can go to CPMB (Central Manpower Base) personally. If you choose to register online, you can go to their website. If you prefer to register personally, you can go to CPMB Podium in 3 Depot Road. When going there, you should bring necessary documents like identification card and education records. If you choose to postpone your enlistment to continue your studies, you should apply for postponement first. If your application for the postponement of your enlistment is successful, you can continue your studies and wait for a summon or notice. For unsuccessful applicants, they should attend the medical screening on February 20 & April 1, 2013. If you have doubts, you should be reminded of the Enlistment Act. In this act, men reaching the age of 16 ½ are required to register for the NS. If you evade this obligation, you will be sued. You will be jailed for not more than three years and/or pay a fine of up to S$5,000. When you survived the training, you will be considered “operationally ready”. 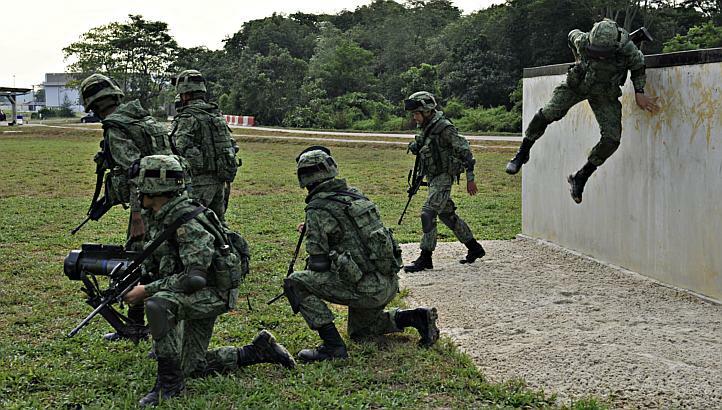 That means you will join the ranks of NSmen (National Servicemen). It does not end there because every year, you are obliged to comply a maximum of forty days of NS until you reach 50 years old. Men should look at this as an opportunity for their growth and development. You should endure it all for the love of Singapore. Do well on your training! Good luck. More than 80 Singaporeans have been arrested by the police for drug offenses this week. Singapore’s Central Narcotics Bureau (CNB) said on Friday night that they have nabbed 86 people who are involved in drugs. 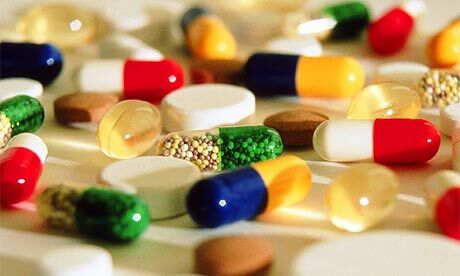 The 86 people who were arrested were caught in possession of $56,000 worth of drugs, the Central Narcotics Bureau said. The 86 Singaporeans were caught possessing 167 grams of heroin, 175 grams of crystal methamphetamines, 29 grams of ketamine, 42 tablets of Ecstacy, 100 Erimin- 5 tablets, a little amount of cannabis, and a yaba tablet. These people were arrested through the joint operatives of the Central Narcotics Bureau and of the Singapore Police Force. The two agencies partnered and made its operation from Monday to Friday, November 11 to November 15, 2013. Areas which were covered by the joint operation of the Narcotics Bureau and Singapore Police Force were Bedok Reservoir Road, Butik Batok, Ang Mo Kio, Bukit Panjang, Choa Chu Kang, Bendemeer Road, Chai Chee, Geyland, Marsiling, Woodlands, Hougang, Chin Swee Road, and Sembawang Drive. The Singapore said they are still conducting investigations on the matter. 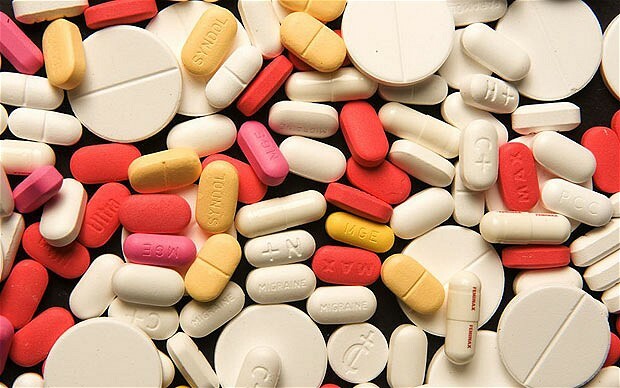 Based on Singapore’s Misuse of Drugs Act, the national drug control law, drug substances are classified into three groups – Class A, B and C.
Possession, consumption, manufacturing, export, and import of these drugs are illegal. 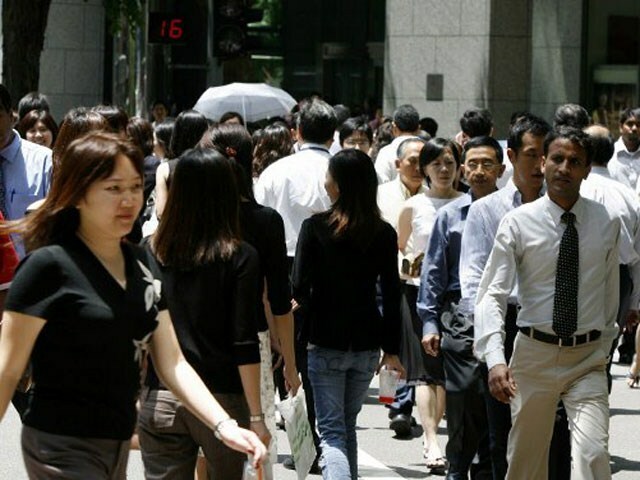 According to the latest AIA Healthy Living Index Survey, three out of four Singaporeans are claiming that their overall health is poorer compared to how it was 5 years ago and that they are now more prone to modern-day health risks. Among the 15 markets asked, Singapore ranked 10th with a score of 59 out of the highest possible score of 100, the Healthy Living Index showed. According to the survey, the respondents reported a 6.6/10 rating regarding their level of satisfaction when it comes to their general health. The survey was conducted among 10,200 adults in 15 different markets across the Pacific Asia. It focused on physical activity, health screenings, food safety, pollution and screen addiction. The survey revealed that one of the areas of concern includes the excessive time that Singaporeans spend online. Other health concerns raised were weight management and hazards posted by various kinds of pollutions. According to the survey, two out of three Singaporeans or approximately 64 percent claimed that the virtual world is indeed addictive. This includes spending time in front of the computer and being involved in social networking sites. More than half of the Singaporean respondents or 72 percent of them admitted that the habit of being online is really difficult to break. Meanwhile, three out of four claimed that spending an excessive amount of time on the computer has affected their posture. The amount of time they spent in front of the computer and other electronic devices has also affected their sleep and physical activities. 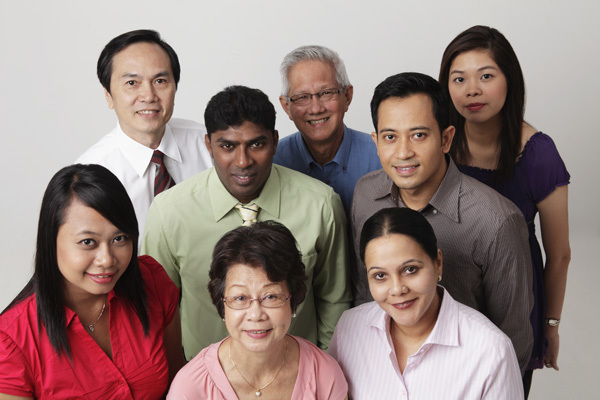 The survey also showed that less than half of Singaporeans have time to visit the doctor for a check-up. There is a campaign that is launched recently. The campaign encourages the people to be kind; this can promote good behaviour. The campaign’s slogan is “a nation of kindness starts with one”. 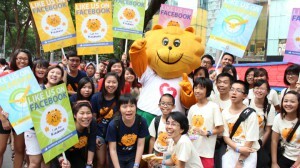 Many people would think this silly but if all join this movement or campaign, Singapore will be a better place to live. Being nice or kind will not harm you. If you want to join, you should begin by doing random acts of kindness. For example, you can offer your sit to the elderly or pregnant women when you are in the bus or MRT. You can help an elderly cross the pedestrian lane or simply lining up properly. Random acts of kindness is an effort of spreading more kindness. Whenever you do kindness, remember not to expect a reward. Just think that you will be rewarded in ways you cannot imagine. Whenever you do random acts of kindness, try to think about the law of karma. If you want good things to happen to you, do good deeds but if you do bad deeds, for sure, bad things will happen to you. It is natural that you are kind to your friends and family but try to expand your kindness circle. For example, you can help a stranger in need. Expanding your circle means going beyond the people you know and not thinking about biases and judgment. You should also be sympathetic to the needs of others. More importantly, you should transform how you think and how you see the world. Changing your views is exhausting but if you let kindness rule over your life, negative feelings like hate, aggression, anger and fear will perish. Many people these days think that transforming is impossible. It is hard but it can be done. 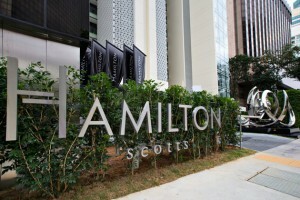 The Hamilton Scotts is famous not only here in Singapore but around the world. The luxurious condominium at 37 Scotts Road is now experiencing renovations. Its developer is improving the first floor elevator lobby together with two penthouses. After the renovations, the units will now cost about S$10 million. Every unit has a private car porch, where you can see your car right from your living room. This is the first development here in Asia, and possibly the world, that features such. Hamilton Scotts is near many establishments. It is minutes away from the Orchard Road, and when you decide to move farther, you will see major shopping malls, restaurants, theatre houses and many entertainment establishments. The condominium is also near SMU and other universities. Unlike other condominiums that have share elevator (except for the penthouse), Hamilton Scotts offer private elevator access on all units. All bedrooms have bathrooms. Other facilities include swimming pool, sunken lounge, Jacuzzi, barbeque area, lounge, gym and car lifts. You can choose from different unit types: 3 bedroom units (52 units), junior penthouse (2 units) and penthouses (2 units). This new luxury hotel is indeed different from others. Though it is expensive, many people still consider it. It is said that here in Singapore, it is a sought after address. If you can afford it, you should buy before it is too late. 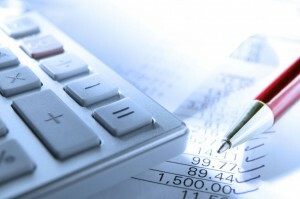 Accounting software is something that every Singapore business establishment needs at some point of time. It’s because accounting programs can accurately evaluate, record, and track accounting matters of a company, such as the sales, expenses, payroll, and many more. As the company grows, all of these tasks become too tedious to manage manually. Therefore, you have to shift into an automated structure for a more convenient manner of managing business operations. To help you decide whether your company needs to have one or not, here are some of the significant questions to ask. Though accounting programs can bring so much relief in most cases, some Singapore companies don’t really need much of its services. For example, if your company size is no more than less 10 people, perhaps, you can still effectively manage it without requiring an accounting program. After confirming that the size of your company really requires the services of an accounting program like Rockbell accounting software consultancy in Singapore the next thing to consider is to identify what you need it for. Does the software need to perform tracking and issuing of payroll, do updated inventories, and send invoices? Most accounting software executes basic operating functions, such as accounts receivable and payable, payroll tracking, etc. So spend ample in identifying the needs of your company before purchasing one. 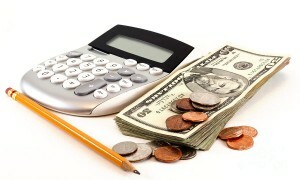 Another thing to consider is that whether the accounting program will save you money and time. Again, if your overall company size is not more than 10 people, maybe it’s more practical to make use of free Singapore accounting tools, such as excel sheets to track figures. But if yours is a bigger company, with an employed accounting staff, calculate how much will you save from the staff cost after buying a software program. If you’ve finally decided to buy one, the next thing to do is to choose which software to buy. In choosing the right software, one of the things to consider is whether there are available support features from the Singapore software vendor. How will you and your employees know the operating procedures of the software? Will the vendor offer a tutorial on how to use it? If not, are there training materials, such as tutorial videos or whitepapers, you can use for self-learning? Keep in mind that no matter how good your accounting software is, it’s still useless when nobody knows how to operate it. 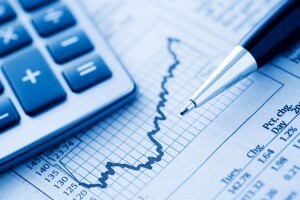 When your business grows, it will require higher level of services from your accounting software. There are more payrolls to handle, more transactions to record, and more product inventories to make. So ask the vendor if the software is upgradable or not. You will not certainly want to spend another hundred dollars to buy another accounting software program when you wish to upgrade it.